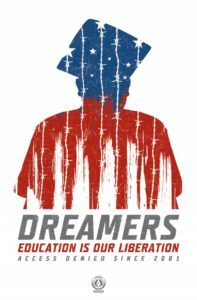 Deferred action (DACA and non-DACA) – DACA Recipients need to renew immediately if eligible. We welcome the opportunity to discuss your immigration case with you. Please fill out the form below and we will get back to you. *The use of the Internet or the inquiry form below for communication with Nayar & McIntyre, LLP or any individual member of the firm does not establish an attorney-client relationship. Confidential or time-sensitive information should not be sent through this form. Please contact our office by phone at 972.445.4114 or email at info@dfw-immigration.com to schedule your free consultation with an experienced immigration lawyer in the Dallas Fort Worth Metroplex. We also accept cash and checks, and have available payment plans as needed. We serve the immigration law needs of individuals throughout Texas and the DFW Metroplex, including Dallas, Irving, Bedford, Euless, Arlington, Hurst, Allen, Flower Mound, Carrollton, Lewisville, Keller, Grand Prairie, North Richland Hills, Fort Worth, Garland, Mesquite, Richardson, Plano, Denton, McKinney, Frisco, Lubbock, Sherman, and Amarillo.